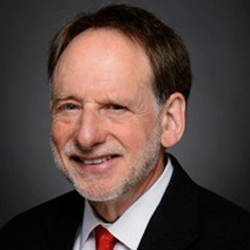 A mediator, arbitrator, judge and policy maker, Ken Plotz brings his unique background of experience and current interests to Conflict Resolution Services, Inc. As former Chief Judge of the large Eleventh Judicial District, and as a senior judge, Ken has extensive knowledge of the legal landscape throughout the state. For the past ten years, he has used this knowledge to successfully help parties settle a wide-ranging spectrum of cases. He also serves as a private judge, administrative hearing officer, and a special master and arbitrator. He has extensive knowledge of the legal culture throughout Colorado, having mediated and arbitrated cases on the Front Range and Western Slope for the past ten years. During these years he also served as a senior judge throughout the state for the State Court Administrators Office.Ken has mediated domestic, business and personal injury cases, and has never been hesitant to step into a new or unusual controversy, having mediated several marijuana business dissolutions and contract disputes. He also has extensive experience in settling intra-family probate disputes. Ken has gained considerable experience in bringing disparate parties together while serving as a consultant to the Juvenile Task Force for the Colorado Commission on Criminal and Juvenile Justice, a policymaking position he took upon earning a Master of Public Arts in public affairs in 2010. While in graduate school for his MPA, Ken studied the art of negotiation and settlement of differing group interests and worked as an international fellow in Kathmandu, Nepal, for the International Legal Foundation, an organization that installs public defender systems in cost-conflict countries. This experience gave him the ability to understand the cultural differences that parties often bring to the settlement table.Ken began his legal career as a private practice lawyer in Leadville, Colorado, before becoming a public defender of the Office of the Colorado State Public Defender in Salida. After serving as head of this office for ten years, Ken was appointed by Governor Roy Romer to become a district court judge in the Eleventh Judicial District in 1989. In 2000, Ken became the District’s Chief Judge. In that position he helped that district institute its first case management system and served as a settlement judge for his colleagues. Ken earned a BA in 1970 from the University of Denver and JD from the University of Denver Sturm College of Law in 1973. In 2010, he earned a MPA in public administration from the University of Colorado Denver School of Public Affairs. He attended the National Judicial College where he studied family law and the valuation of businesses. People who know Ken know he isn’t all work. A master Nordic skier, he enjoys competing in classic and skate skiing racing, skiing bumps and trees at Winter Park and Steamboat Springs, and long distance trail running at least three times a week in order to keep his dog Henry out of trouble. He is also a cyclist and a recovering triathlete.